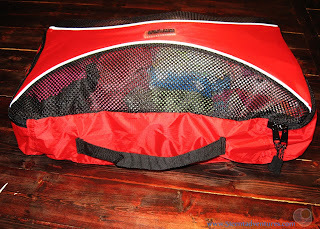 Disclosure: I was not compensated for this post, however I did receive a sample bag from Pro-Packing Cubes for my review. All opinions are my own and not influenced in any way. I HATE packing. I always whine about it for several days, before I finally buckle down and get it done. I disliked packing before I had children, but having kids has taken my packing hate to whole new levels. There are just so many contingencies that I have to plan for. Will it rain? Will we want to go swimming? Will it be cold? or hot? What if something spills and we need more clothes? Etc. Worrying about all the clothes we will need has caused me a lot of stress on many occasions. 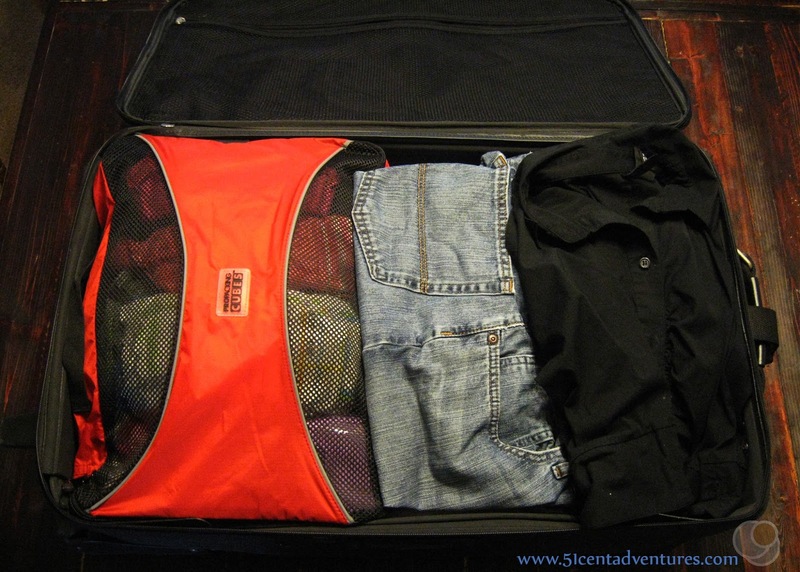 Over the years I've come up with several tricks that help make packing go smoother - after I finally quit whining and actually do it. Today I want to share some of those packing tricks with you. And I'm going to introduce you to Pro-Packing Cubes. 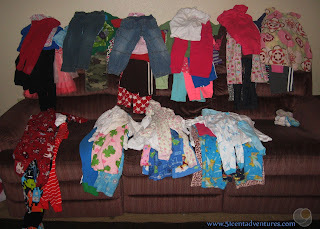 The first thing I do is I gather all the clothes that my kids will need. And they need a lot of clothes. I have four kids all under the age of six. The older two occasionally help me pick out the clothes they will wear, but usually I just do it because I've put off packing until after they are in bed. I'll sort the clothes by how many days we'll be on vacation. So if we will be gone for five days I make five piles. Each pile has an outfit for each of my kids. So that's four shirts and four pants on each pile. I also make an extra pile for the "back up clothes" that I put into my Adventure Bag. Below those piles I make a pile for pajamas. My kids are old enough that they probably could wear the same pair of pajamas several nights in a row, but I still worry that some sort of bedwetting/diaper leakage will happen during the night. So I pack a pair of pajamas for each child for every night we'll be gone. If we'll be travelling late on the last day I make sure the kids will have pajamas to change into in the evening. That way my husband and I can put the kids directly into bed when we get home. Even if we plan to arrive home early I'll usually make sure we have pajamas ready for us when we get home. I put each pile of clothes into a plastic bag, and label the bag with when I plan to have the kids wear the clothes. Each bag will say something like, "Tuesday Day" or "Thursday Night." This helps me make sure my kids are dressed appropriately for different activities during our trips. 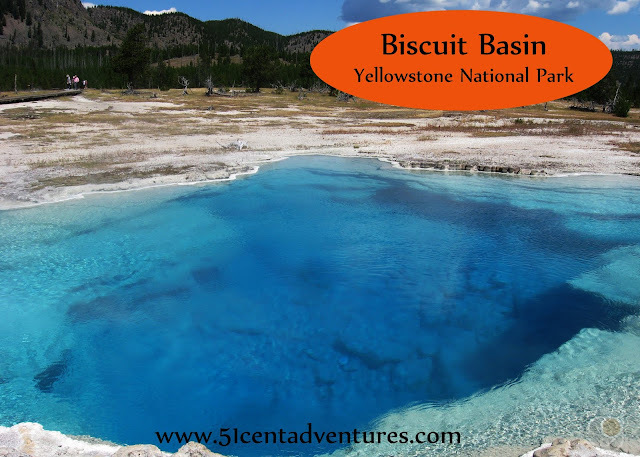 For example, on our Lookout Mountain Road Trip, we spent Wednesday hiking around the Little River Canyon area. On Thursday we went to the US Space and Rocket Center. 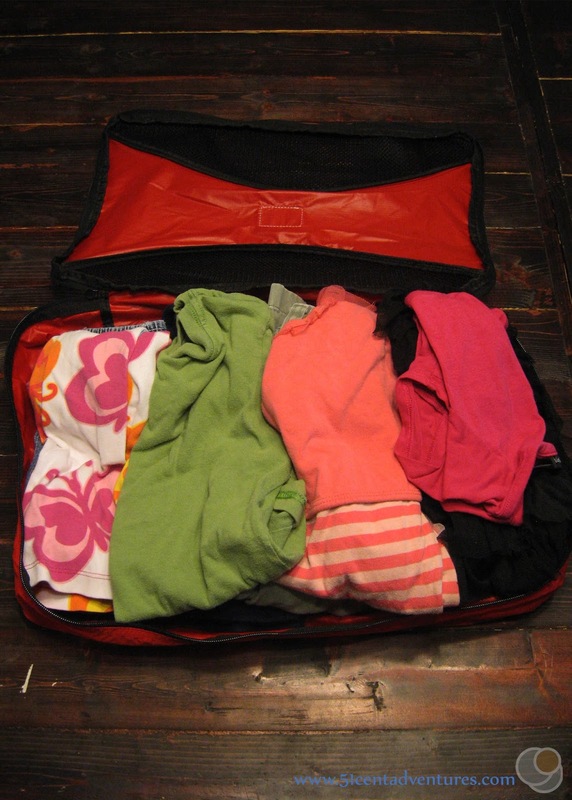 I made sure that we had "grubby" clothes packed for Wednesday, and dressier clothes ready for Thursday. 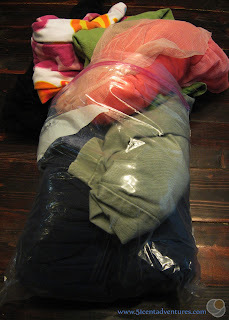 Some people recommend putting each child's clothes for each day into a separate zip-lock bag. That's a great idea, but with four kids I'd be travelling with quite a few zip-locks. I prefer to keep all the clothes grouped by day. I used to be able to fit all the clothes for all four kids inside one gallon size zip-lock. But my kid's clothes don't fit like that anymore if there are jeans or large shirts involved. 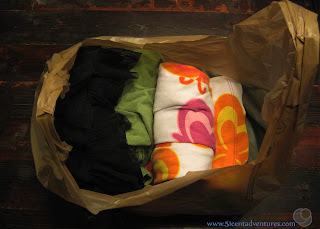 These days I prefer to use grocery bags because they easily hold all four pants and all four shirts. 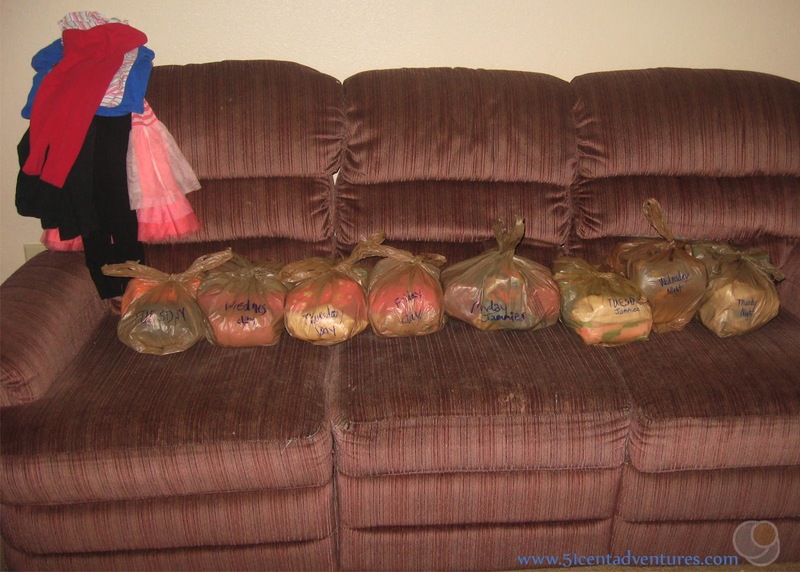 Plus grocery bags are a lot less expensive than zip-lock bags. I do have one problem with using my grocery bag method. 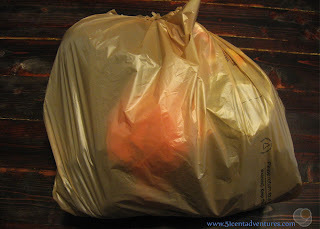 I also use grocery bags as trash bags and so I'm always slightly worried that we'll mistake a bag of kids' clothes for a bag of trash. 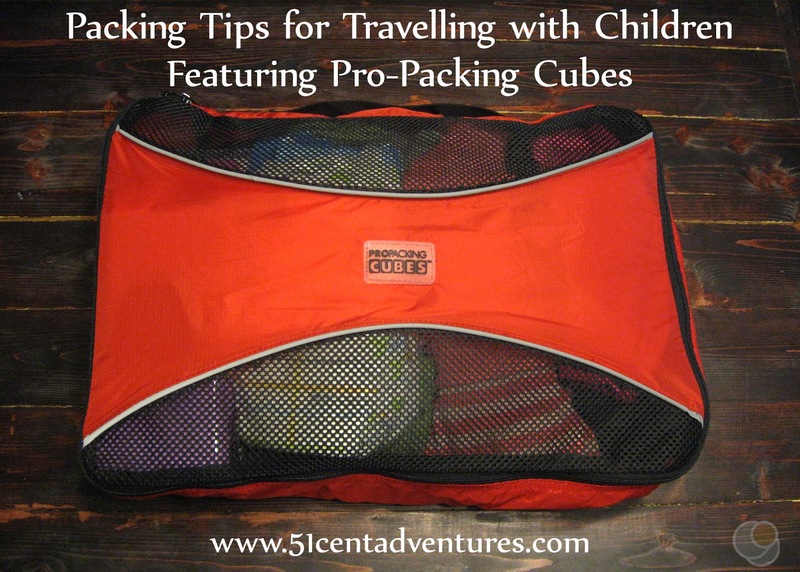 I thought that grocery bags were my only option, until I found out about Pro-Packing Cubes. 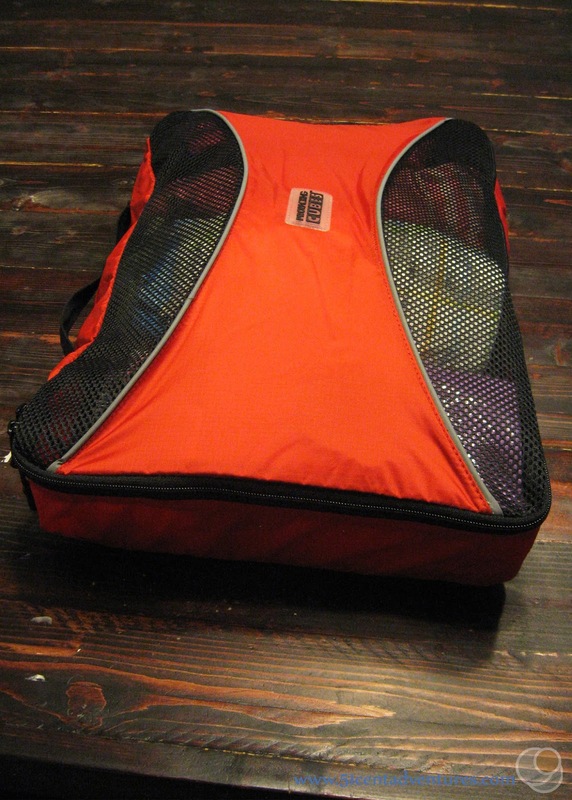 Pro Paking Cubes are bags that help you organize your clothes and other gear. So instead of having a huge mass of clothes, socks, and underwear thrown into a suitcase, you can organize everything into separate bags. The bags themselves have heavy duty stitching and quality zippers so you don't have to worry about ripped seams or busted zippers. The material is durable, and there is plastic mesh so you can easily see what is in each bag. These cubes are pretty awesome. Right now you can buy a set of six cubes in various sizes for only $34,99 on Amazon.com. That's a great deal for something that will save you a lot of trouble. There are many uses for these bags. The thing I would probably use them for the most is to organize my kids' clothes. I was easily able to fit four outfits into the 12 X 18 inch bag. There was extra room so I decided to add pullups, diapers. and wipes I always like to have those handy when I'm changing my kids' clothes. If I had to pick which clothes in particular I would put into the cube it would have to be the clothes that my kids would wear on the first day of travelling. That's because when we have an extra long car ride planned, my husband and I will usually put the kids into the car directly from their beds while they are still wearing pajamas. Then later in the morning we'll worry about changing into regular clothes. 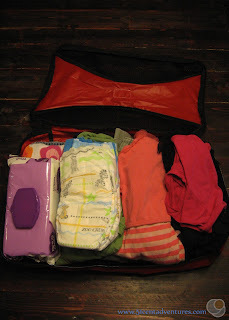 I'll usually pack a special bag with the clothes that I want the kids to wear. 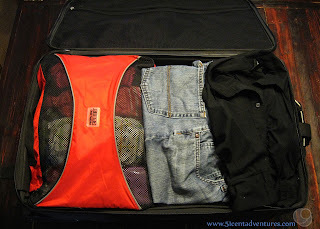 This Pro-Packing Cube would work perfectly as the bag for the change of clothes. I especially like the handle. The handle would make the bag easy to pull out when it's time to get the kids changed. The bag also fits perfectly into my suitcase so I'd be able to put the clothes in there if I didn't want them rattling around with the rest of our travelling gear. Another feature I like about these bags is the mesh opening. This would be especially useful when I'm trying to pack up slightly damp dirty clothes. I'm always worried about putting damp clothes into a plastic bag because I don't want them to start to mildew before we get home. This breathable mesh would help me get dirty clothes out of the way, without worrying that they are going to start stinking. 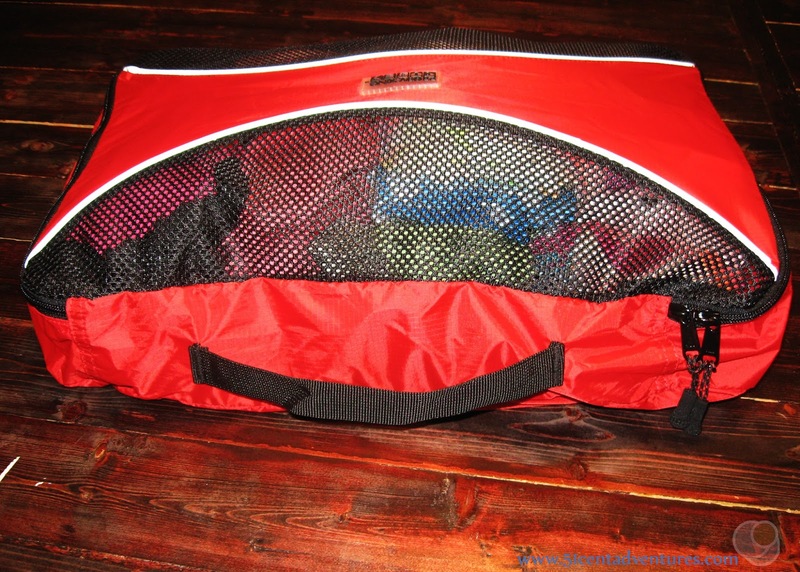 I'm very impressed by this bag, and I would love to have a full set to use when packing. As my kids get older I might even invest in several sets of different colors, and assign each child a color. The bags come in aqua blue, graphite, hot pink, silver, sunset orange, as well as red. We could have a lot of fun with those colors. I suspect that owning some Pro-Packing Cubes might make me look forward to packing for trips instead of grumbling about how much I hate packing. These bags might even help me like packing. How about you? What would you use this bag for?